July 2015 Fish of the Month Entry - Lomond Pike! July 2015 Fish of the Month Entry - First Double! July 2015 Fish of the Month Entry - First Hound! First Look - The 2016 Hardy Tackle Preview! July 2015 Fish of the Month Entry - Irish Pike! July 2015 Fish of the Month Entry - First Fish! July 2015 Fish of the Month Entry - Welsh Porgie! Come and see GAC at the CLA Game Fair 2015! July 2015 Fish of the Month Entry - Thornie Ray! July 2015 Fish of the Month Entry - First Salmon! July 2015 Fish of the Month Entry - PB Carp! 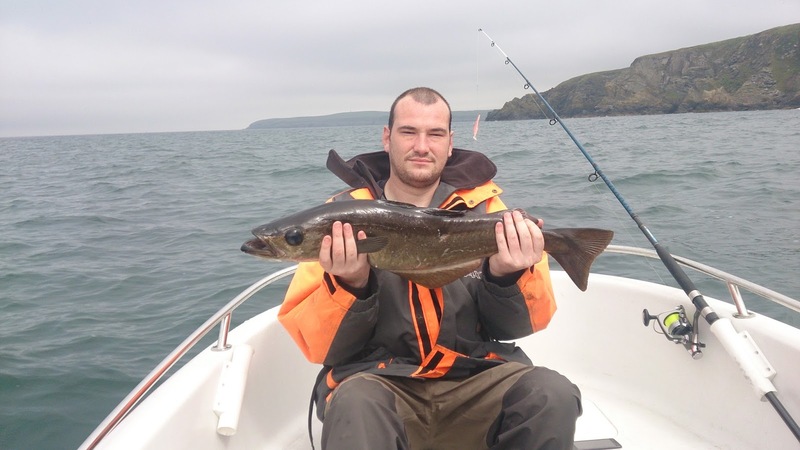 July 2015 Fish of the Month Entry - Wicklow Tope! GAC Fish of the Month June 2015 Winners! Mark Goldie with a cracking Pollack caught off Portlogan while fishing on his dads boat. The fish took a pink Sandeel Lure and is his first double figure fish! You can vote for this picture to win on Facebook by selecting it in our July 2015 FOTM gallery HERE and hitting the 'Like' button! Don't forget to share all your favourite entries to help them win too!